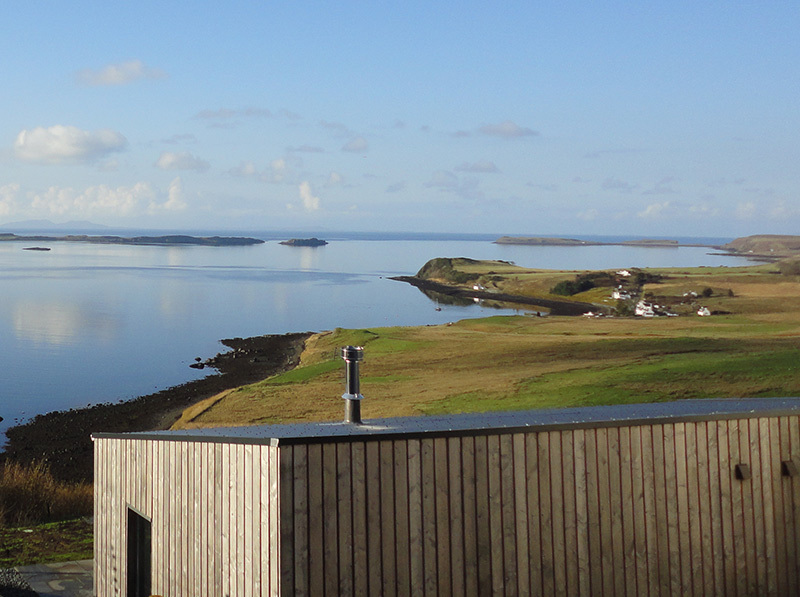 Our location on the scenic Waternish peninsula offers a wealth of places to explore and enjoy. The Lookout is situated within easy walking distance of the scenic village of Stein, home to the Stein Inn (Skye’s oldest inn), and the atmospheric Lochbay Seafood Restaurant. The peninsula offers a variety of attractions from Diver’s Eye Boat Trips, sheepskin tannery and exhibition at Skyesyns, and crafts at Dandelion Designs, Halistra Pottery, the Skye Shlasdair Shop and Brae Fasach Gallery. There are a number of scenic walks to explore with spectacular views of the Outer Hebrides, and historical sites of interest such as the medieval church and cemetery at Trumpan, now in ruin, which serves as a reminder of the island’s colourful past. The Lookout is also well situated to explore other parts of the island and discover many of Skye’s most celebrated attractions, such as Dunvegan Castle and Gardens, the ancestral home of Clan MacLeod; the majestic Cuillin Mountains; the lively township of Portree, Skye’s main town; Talisker Distillery, the island’s oldest distillery; and Clan Donald Skye and the Museum of the Isles on the Sleat peninsula. Our location offers the opportunity to explore further afield and visit a number of renowned attractions on the mainland, notably the iconic Eilean Donan Castle, recognised all over the world and located just 9.6 miles from the Skye bridge; the world famous historic Inverewe Garden and Estate owned by the National Trust for Scotland; or explore the outstanding natural beauty of Torridon.